Technology intended to make everyday life easier has permeated our culture. We use mobile phones to send texts or e-mails on the go. We can check into airports faster using automated kiosks, and we do our banking from the comfort of our home with online services. So it’s not surprising that technology solutions are being developed for social work as well. Imagine being able to easily access neatly organized data about your clients or read old case notes without having to decipher handwriting. Social services software programs offer assistance with managing caseloads by organizing files electronically, making client contact information searchable or more easily accessible, and monitoring client progress, among many other tasks. Still, as with any change, there are downsides, and many organizations are finding the implementation process to be challenging. 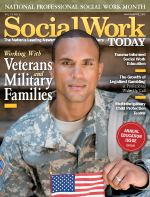 Nonetheless, social services software offers possibilities for today’s social worker, and implementation will mean transformation on many levels. Social services software can offer a variety of capabilities, from managing employees (eg, employee productivity reports) to managing cases. Meikle says social workers essentially are looking for their own version of electronic medical records to service their specific needs. They want data to be easily accessible and mobile. But like anything, there are pros and cons to social services software. Schoech says software can make routine tasks such as collecting information, educating clients, monitoring client progress, and conducting follow-ups easier along with structuring assessments and making sure all assessment areas are covered. In other words, social services software does not replace the clinician; it is merely a support that can help the clinician deliver better care and more efficiently manage cases. Additionally, social services software can help clinicians be more efficient because they can complete more tasks for similar costs, Schoech says. “For example, technology lowers costs of routine processes and procedures, such as record-keeping and financial management,” he says. With the automation of certain services, providers can better meet some clients’ experience-based expectations with most businesses, he adds. “It is also easier to obtain additional funding for agencies with well-functioning technology due to the ease of generating good data about what an agency does,” he says.